﻿ Amari Koh Samui (Thailand) | FROM $82 - SAVE ON AGODA! 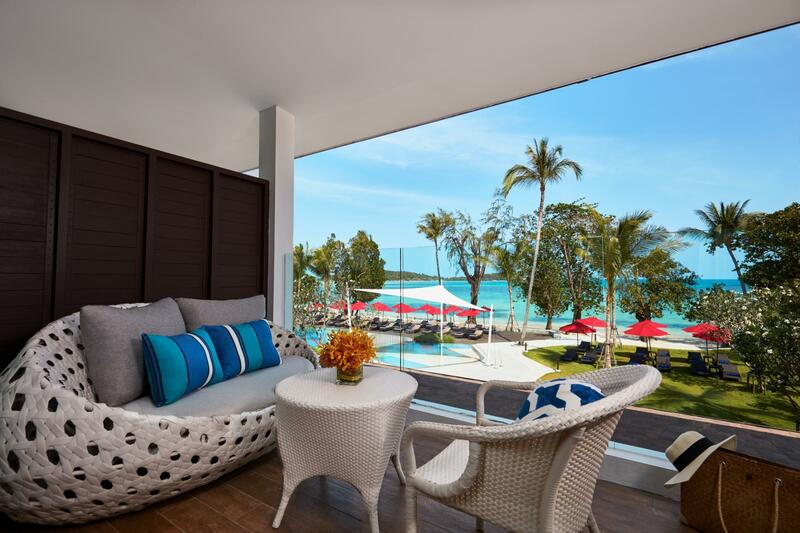 "This hotel is great, the staff are really friendly and nothi..."
Have a question for Amari Koh Samui? 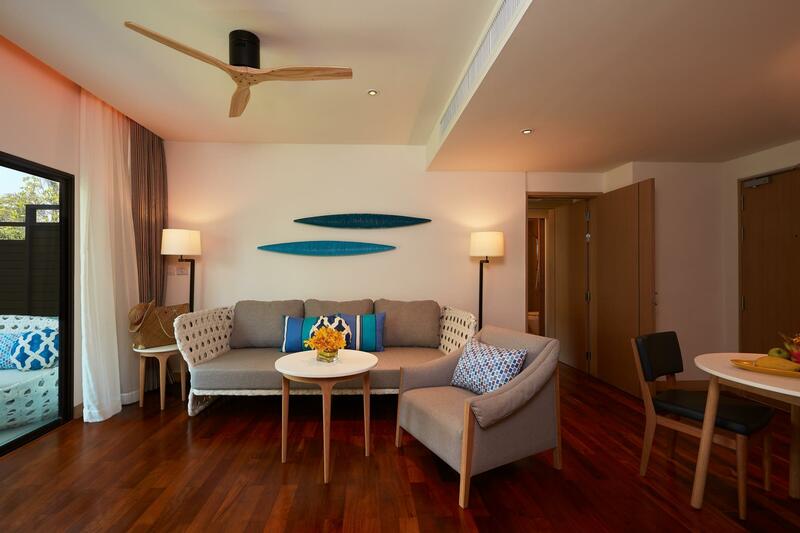 "Staff are helpful and area is in the main road of Chaweng." "Nearby got many money exchange shop and the pool is nice"
"The hotel staff is just great!!" 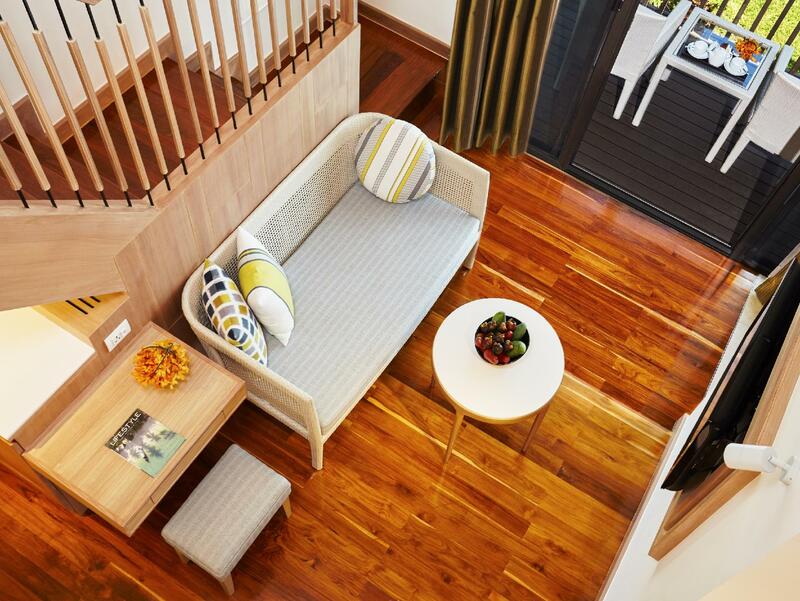 Living up to a sterling reputation is often difficult, but this Koh Samui boutique resort certainly has done its part to keep people coming back. 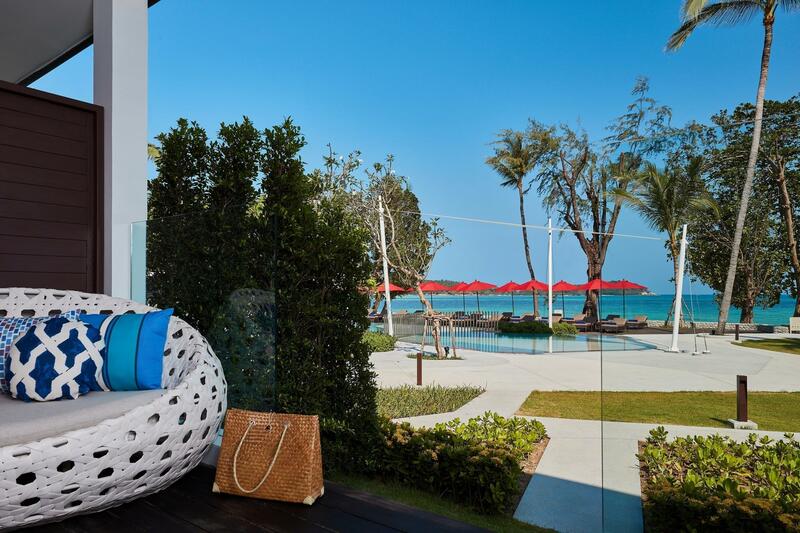 A location close to Chaweng, the island's trendiest beach, is a main selling point, but the Amari Koh Samui offers so much more. 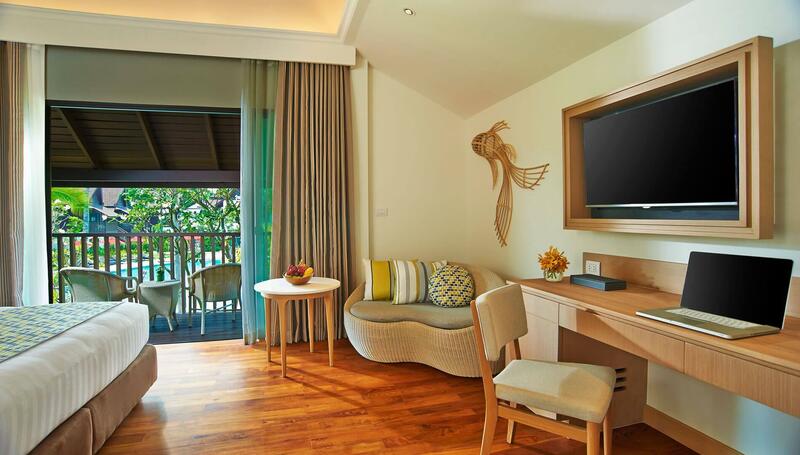 The rooms are traditionally and elegantly designed in the Thai style and guests can enjoy two swimming pools and a diving center that offers a variety of underwater adventures. Several high-quality dining options are on-site along with many more choices available in Chaweng. 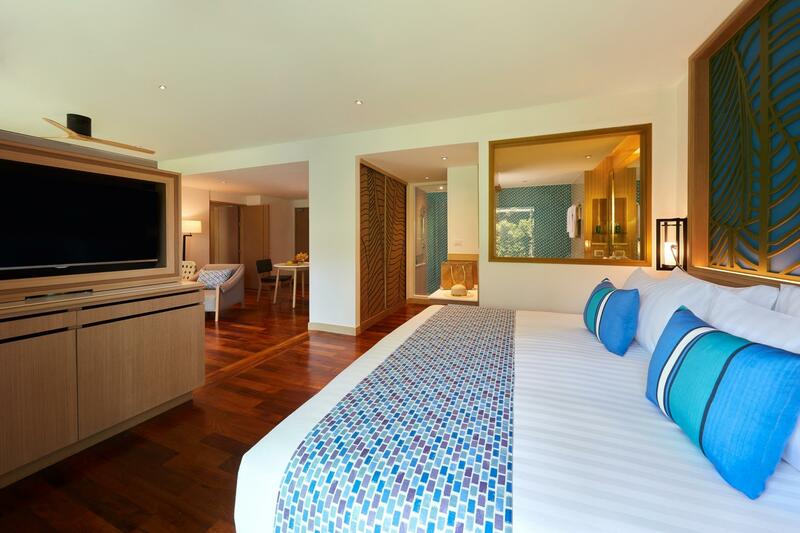 Amari Koh Samui is easy to book - just enter your travel dates on our secure online booking form. "The hotel located near the airport and beach area." 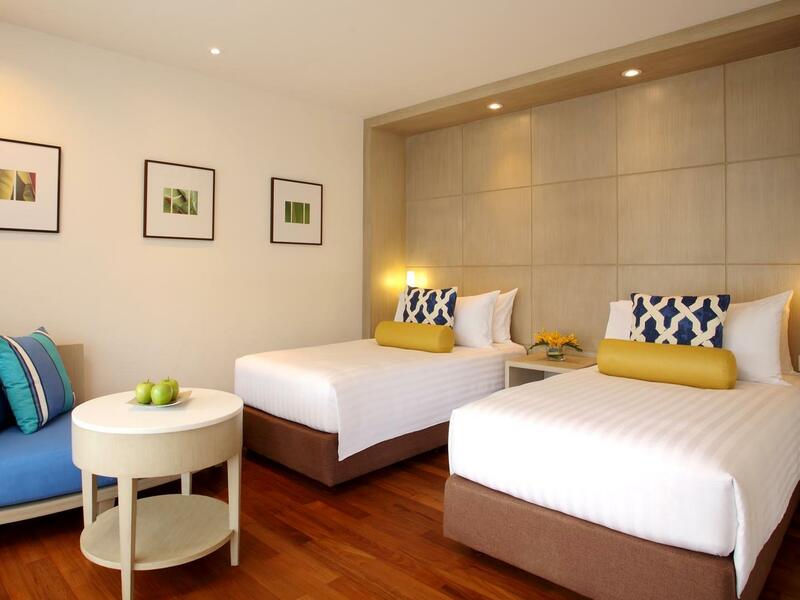 Please note that rooms are located in separate buildings on both sides of Chaweng Beach Road. Children will be charged an additional fee for breakfast when using existing bed. 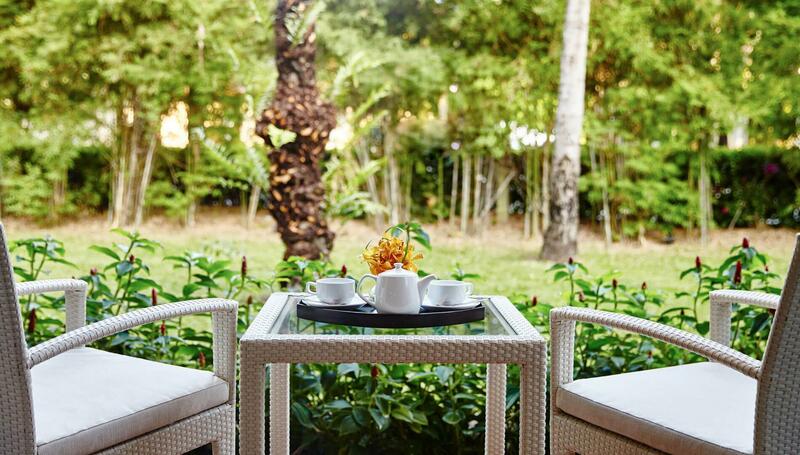 We stay at Amari hotels whenever we’re in Thailand, which is at least once a year. This hotel is great, the staff are really friendly and nothing is a problem! Great location and breakfast with a huge variety to choose from! Not the cheapest hotel around but for a perfect holiday experience being made to feel like nothing is an issue this is the hotel for you. Amari was fantastic. The customer service was top notch. We were greeted immediately, staff handled all of our luggage and brought it to the room. They upgraded us without asking. The facilities were so clean. We used the gym and it was probably one of the nicest on the island. The WiFi connection was very fast as well. It is a little pricey at the restaurant and spa but you pay for the service you get. Highly recommend this place. One of my worst hotel stays in a long line of Hotel stays, during my world travels, over many years. I'm not sure who the people are here giving this hotel ebullient reviews, but I guess quality is all a matter of taste. . The room was full of run down vaneer covered furniture that I could find in any cheap motel in Canada for a fraction of the price. They put us right in the back of the hotel property on a ground floor. We could hear the woman next door through the adjoining door to our rooms, loudly talking on her phone for an hour, before I had to tell her to keep it quiet. The bed was soft, and uncomfortable. The couch was cheap and soft like the bed. The breakfast was inedible. The decour was again, cheap and little thought and effort put into it. I'm sure I'll get a canned response from the Hotel, thanking me for this review. Amari is a money grab. I'll never recommend it to anyone - nor stay there again. We booked through Agoda. Requested for all 3 rooms to be arranged nearby and early check- in. The reception claimed never received message sent to Agoda/ Amari and the requested were ignored. It is a busy hotel and I don’t feel welcomed at the resort. The Garden Wing room is across the road and have no view (despite hotel charging premium prices). The hotel is far from town 1.5-2km away and taxi is very expensive abt THB150 per pax. The staff speaks little English and I was asked to wait 1-hour for buggy service to send back to hotel as it was extreme hot weather. Please do yourself a favour, get a better hotel along the beach. The resort is positioned in the middle of Chaweng beach. And the hotel it self is beautiful with two big pools and a clean stretch of beach. It's also located amongst all of the Chaweng street restaurants and bars. The Staff were the best I've seen in Thailand thus far. So attentive and polite, really excellent service. Our room was quite a distance from the reception / beach and then up three flights of stairs but we saw that as a positive as it gave us a bit of needed exercise. There were golf carts available to drive you back and forth. The breakfast is great, but I felt a little on the expensive side. The hotels Italian restaurant Pregos has, hands down the best pizza we've had not just in Thailand but in Australia too. It's traditional wood fire pizza is to die for! 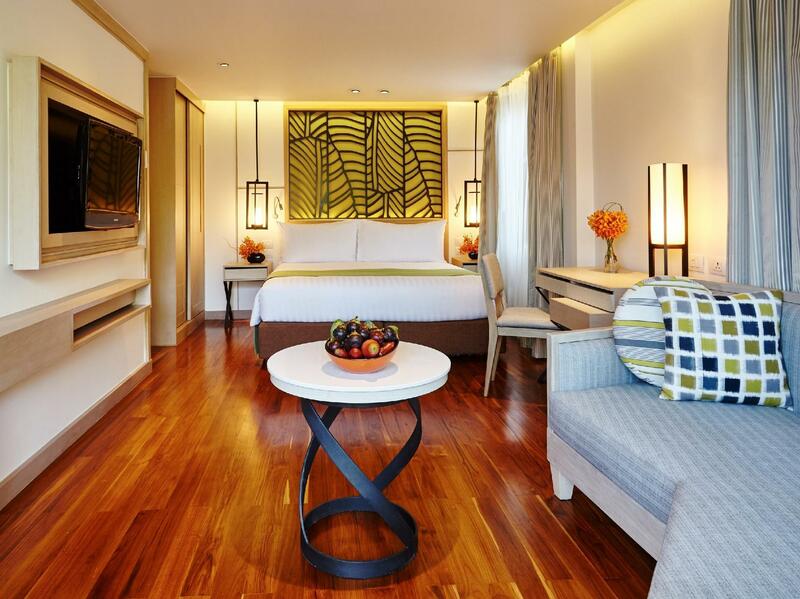 All in all I think it's one of the best in Samui and great value for money! The hotel is beautiful - the rooms and the communal areas (pools, reception, restaurant etc) but the thing that stood out for me was the staff. Every single staff member was polite, friendly and efficient - nothing was too much trouble. Beautiful hotel, but worst room and staff service. They cleaned the room and forgot the towels and we waiting 20 min just for towels.. not nice..also at the morning restaurant they didn’t give as to eat and every 2 min want as pay at the moment. Not worth the money at all!! If it's a quieter romantic holiday that you're looking for...think twice, the place & pools are full of kids (no problem, if hotel is advertised as such), but we wouldn't go back!!! Great location on the beach, good breakfast!!! Our second time to Koh Samui and we hesitated booking this hotel due more costlier than our last stay. In the end, we decided to go for it and no regrets!! All went smoothly from the moment we were picked up from airport to our room which is clean and big. Staff are friendly and helpful. They always greet you with a smile. The breakfast is amazing! Best breakfast spread we have encountered so far. This time we didn't rent a motorbike as it takes only about 15-20 minutes leisurely walking from hotel to Chaweng town. Massage shops and convenience stores nearby hotel hence location is great for us. A nice, happy and marvelous stay for us. Highly recommended. Like the new renovations.. like the place.. great rooms and pools ,easy to relax. Food is good and food kitchen hygene appears top notch . My only little gripe is with the new food areas taking over the old day beds which were grea to sit out and have a drink and meet others .. There is no bar as such , the old place kinda doubled as a bar which was nice , upstairs dont kinda work. Gym very good .. I think its getting pricey in the very high season , maybe a special for us regulars might be more enticing , this trip was 10-11 days or a loyality discount. So to close , we/I go there because of the sanctuary it presents and consistency. Keep it up , go give it a crack if you havent been back since the renovation. My only one gripe is about Samui in general.. the beach and water is filthy , they need the hoteliers in particular to start to love the land more . The beach is more like a refuse site than a luxury attraction in the early morning. 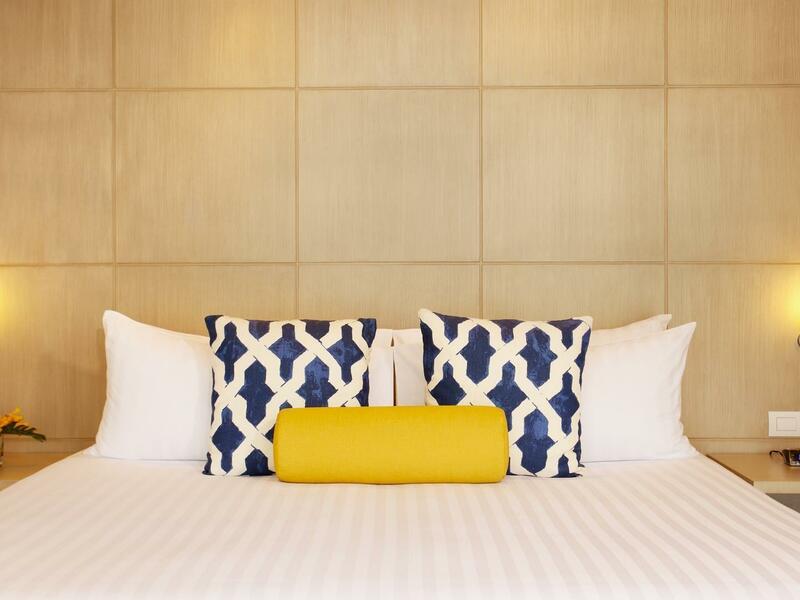 Be aware that any reviews over a year old are about the older Amari - now they have basically a brand new hotel. Everything has changed, for the better. I stayed for a week and thoroughly enjoyed it. The breakfast is terrific, lots of selection, not just western, but asian breakfasts as well. The fitness centre has the latest Lifecycle gear, everything you'd need. The hotel is on both sides of the main road, with a large pool on either side. I stayed on the "garden" side, which meant a stroll across the street to the main hotel lobby and to the beach. Beware the beach is really not a proper beach here, and there's warning signs about sea urchins if you dare go into the water. If you're hoping for a relaxing stay on a nice sandy beach, look elsewhere. I found the pool was more than sufficient however. A couple odd things - the rooms on the garden side are arranged as a labyrinth of individual huts and despite the signage, I found it was very confusing finding my room (and finding my way back out) for the first couple days, especially at night. To top it off, my particular hut had no light outside and it was extremely difficult to find the door in dark. Also, the bathroom, inexplicably, has no electrical outlets at all, which made using the provided hair dryer, or my electric razor, impossible to use (at least in the bathroom). This must have been an oversight and I hope that it is addressed next time I visit. And for sure, I'll stay here again!! Great location though abit near a noisy street. Chaweng is the hub for all - eat, shop, walk ..etc services. Other Samui locations not recommended coz you'll be in the middle of no where with unrealistic transpotation costs. Overall great. However food at Prego was generally salty , including pizza. Friendly reception staff. Our hotel across the road from lobby, so has to do a bit of walking but ok. Swimming pool should have more lights to enable late evening swim. Buffet breakfast can be more exciting if proivide varied menus for different days. Nice swimming pol, beach and helpful staff. We stayed for 6 days in this Hotel in June. Hotel has nice swimming pool, and also nice beach. Hotel staff is very helpful and organized. Hotel is on very good location, local restaurants and shopping are is very close (you can do everything on foot). Airport is also only 15 minutes from Hotel by taxi. Hotel breakfast is very good. We would recommend this hotel and go there again. Good location near Chaweng busy area The resort has good location near the busy area of Chaweng with many restaurants and all sort of shops. From the airport takes about 15min costs 130bht shared minivan or 500bht for taxi. The Resort has two parts separated by a busy road. The first part has the reception, the main swimming pool, the beach, breakfast and the sea view rooms The second part is not on the beach. Most of the hotel rooms are on the second part. Some of the rooms are 4.5 star level but some of them are 3 or 3.5 star levels. I have been given one of those rooms first. I requested to move to a better room because I paid high price for a 5 star resort. There are two pools both are lovely. The breakfast is very good and has a wide range of food. Again it cannot be compared to 5 star breakfasts. The beach is good for swimming though it has some sea weeds and shallow but it is ok. Check-in was delayed due to room change which should not be. They should assigned 5 star room from the beginning - why making the guest request to change. Motorcycle renting from the hotel costs 300bht, just outside the hotel it cost 200bht. All staff where super friendly and helpful, especially who welcoming and smiling with all guests. The rooms have free WiFi. Check out was fast. Many restaurants, shops, massage shops ... etc. On the main road near the hotel in Chaweng. On the beach there are also nice restaurants and massage shops. The hotel is in a good location. I would like to thank Khun Kruawan and Khun Thanya for a wonderful stay at Amari. It didn't start off too well as I had paid premium rate in Agoda for a superior room that was small with no view. After being lock out from my room at midnight due to a faulty lock, the excellent team rectified the discomfort by upgrading us to a seaview deluxe room. The level of service standard in this hotel is 5 star with the way the service team managed issue faced by guest. Well done and keep up the standard! Booked through Agoda after reading the reviews. We wanted comfort, view, and tranquility. This is exactly what we got! Close to the Samui action but far enough to be able to get a good nights rest. The breakfast buffet is just fabulous! We really enjoyed it to the point where we left with a few extra kilos. Anyhow, I will book here again in the future. If you are still hesitating, don't! You will not regret it! Trust me! we stayed in amari palm reef for 3 nights and we upgraded to deluxe family room on our arrival. the room is big and can accommodate another 2 more person. the resort have 2 swimming pool and i truly enjoy swimming there because the temperature of the pool is warm. breakfast is fantastic with a lot of variety. on the last day of our trip, we need to depart at 6am and the breakfast only begin at 6.30am but the staff prepared us some coffee and bread for us to eat in the car. really great service. we will definitely come back again!